It's official! 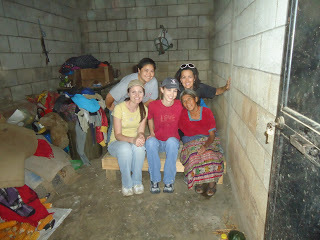 We are headed to Guatemala from November 16-23, 2011! We have purchased eight airline tickets for our incredible team of volunteers (two team members from CA and six from TN). We will be serving three different ministries and are honored to partner alongside them. Our team will be building and delivering beds, doing lice treatments, serving in a medical clinic and an orphanage and hosting a community outreach/children's celebration. We will also be honoring the memory of Ben Keenan, a former Guatemala short-term outreach team leader, during our trip. Ben passed into eternity in July, 2011, after a long battle with cancer. We will be planting a tree in his memory and are looking for someone to sponsor the cost of the tree. Let us know if you'd like to help!